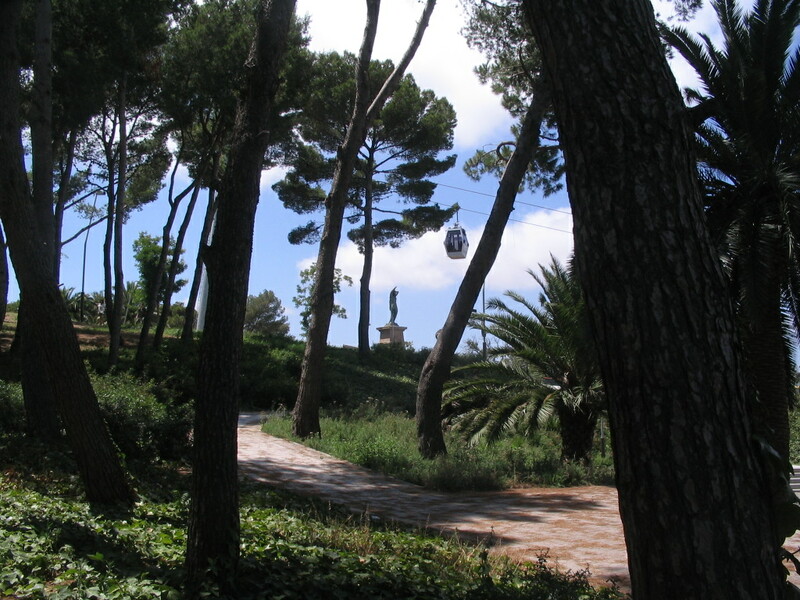 Just below the Castell is my favorite place in Barcelona, the Mirador de l'Alcalde ("Mayor's Outlook"), which I had discovered long before on runs to the Castell. 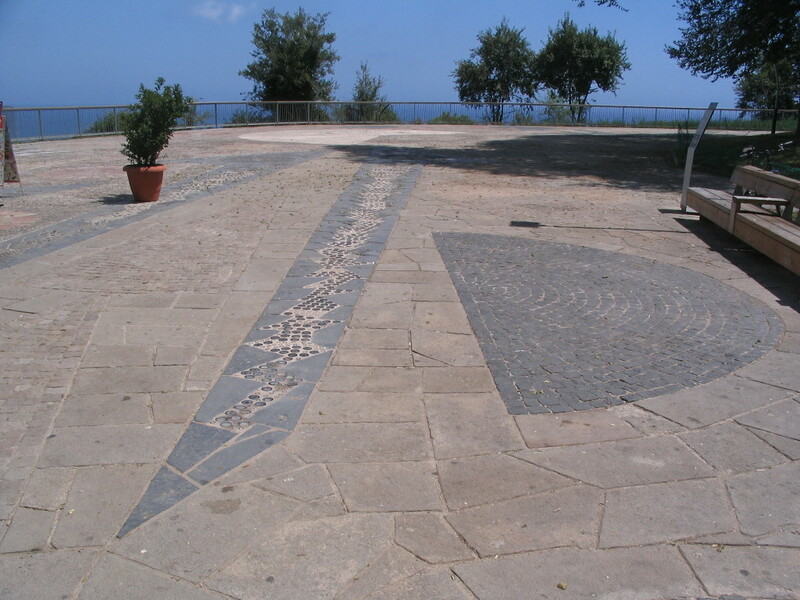 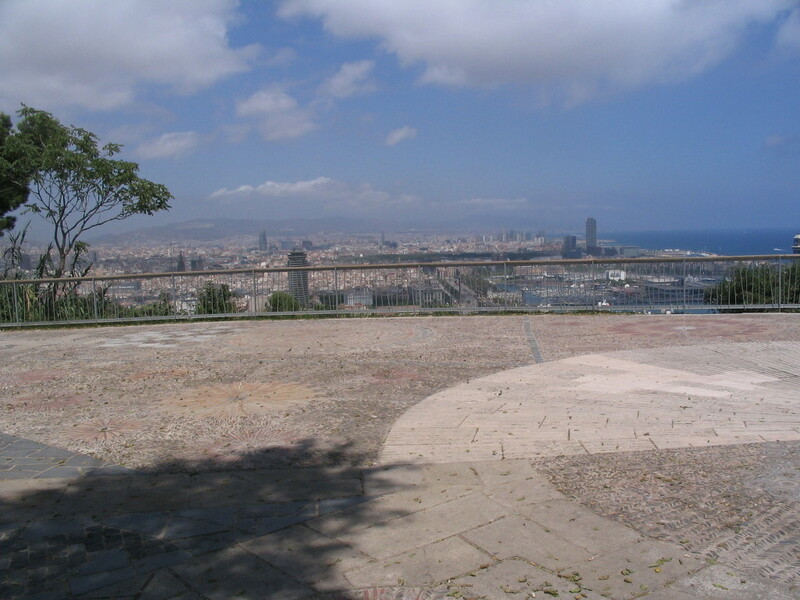 The Mirador is paved throughout with an ever-varying mosaic of stone, brick, and other materials, designed by Joan-Josep Tharrats i Vidal. 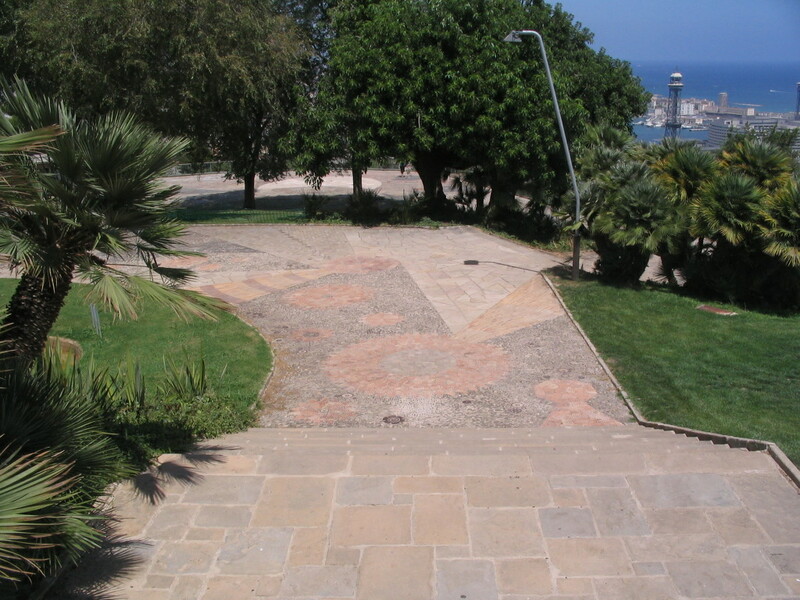 It was constructed through the 1960s. 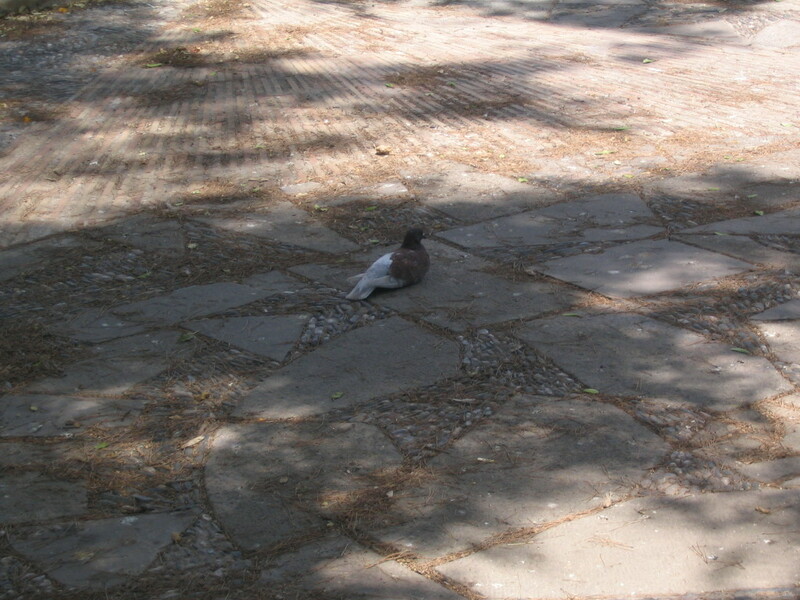 This pigeon thinks it's a nice spot too. 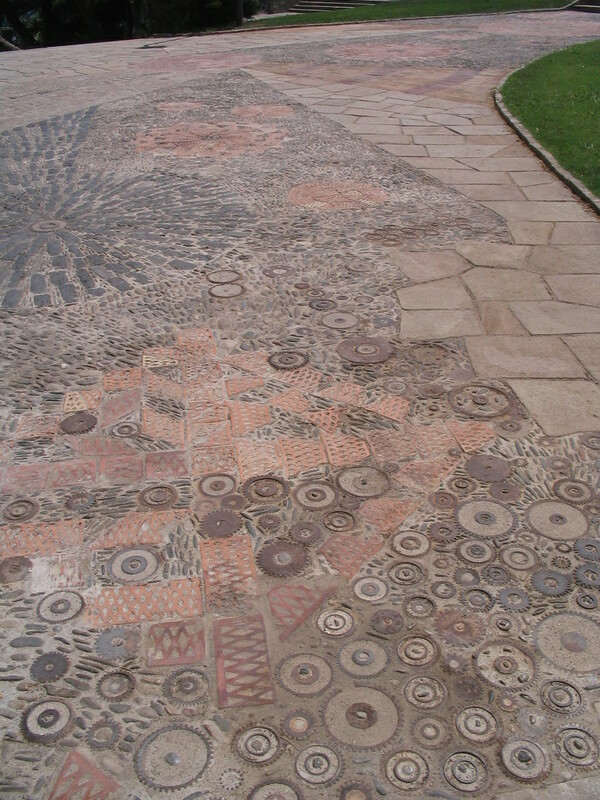 The bottles are a neat touch, as are the striped medallions in the middle of the cobblestone discs. 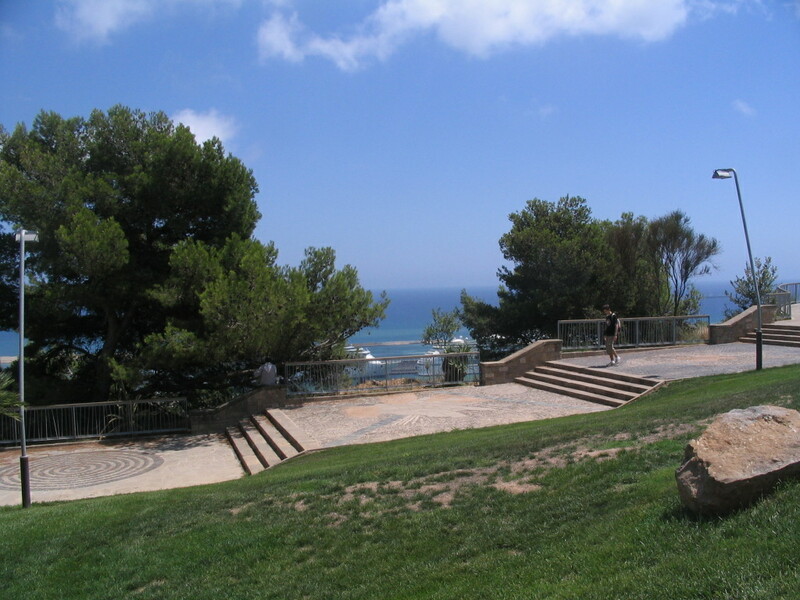 ...and a view there certainly is. 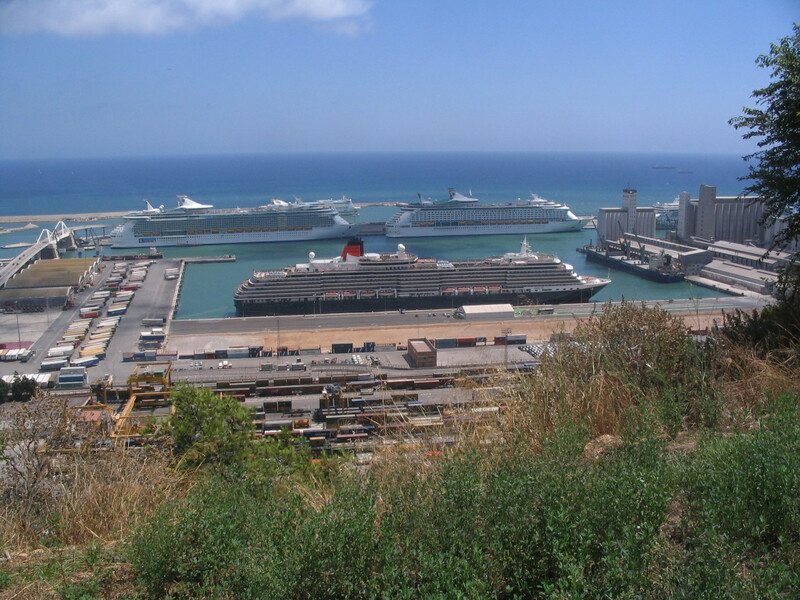 In addition, you can see straight down the cliffy hillside to the port. 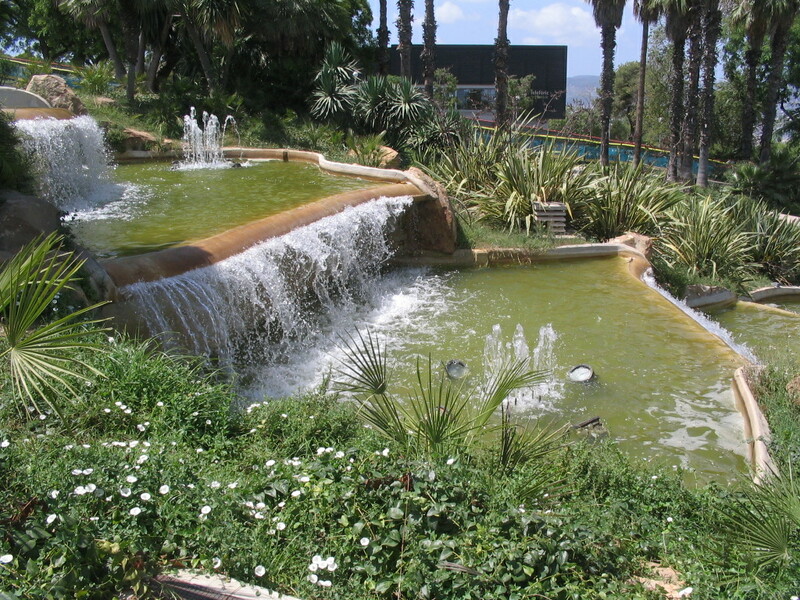 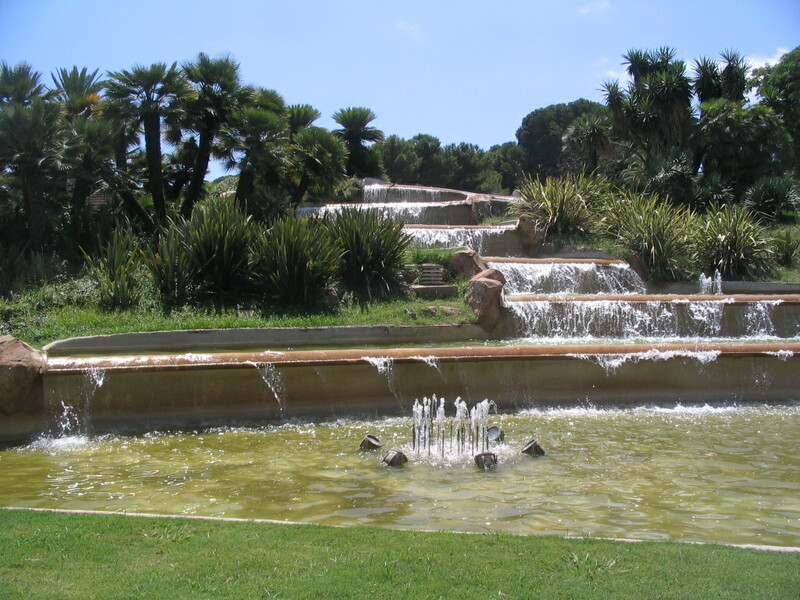 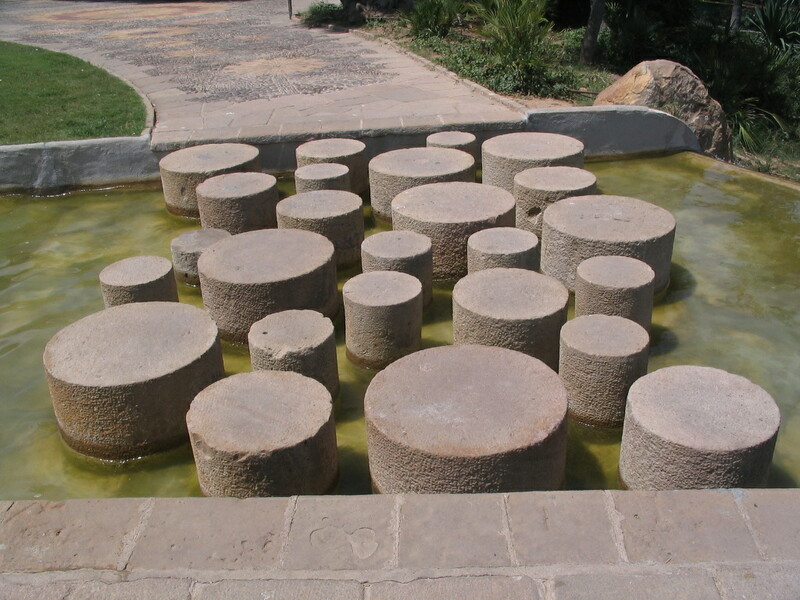 The Mirador comprises multiple plazas stepping up the slope, arrayed around this gentle waterfall. 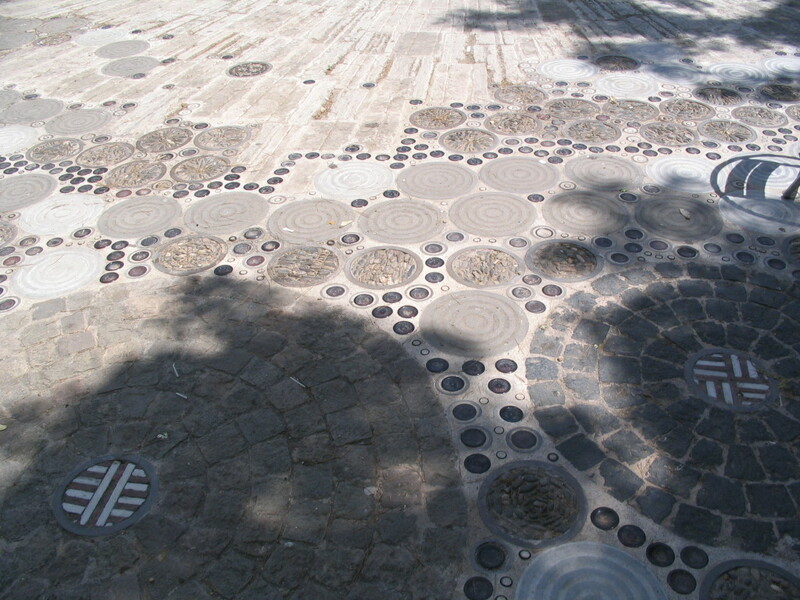 I particularly like the use of gears, very glyphic with their simple dark forms against the light concrete. 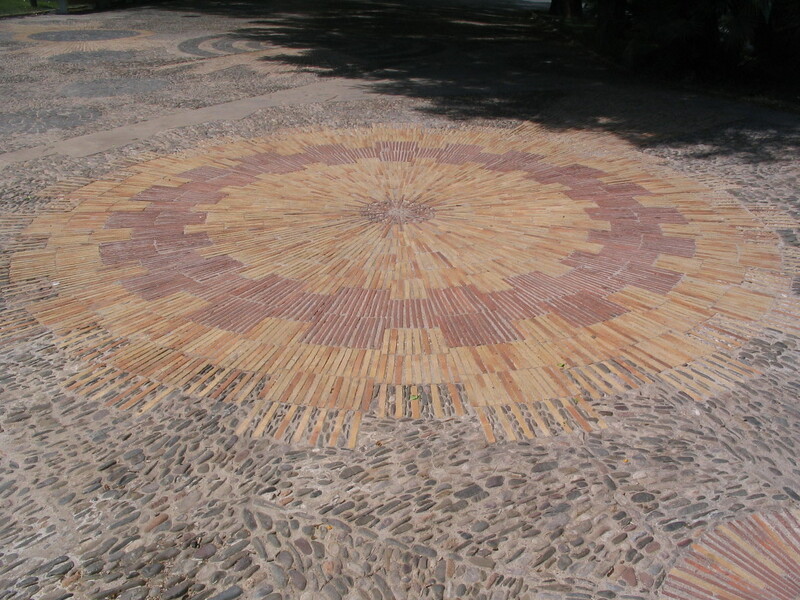 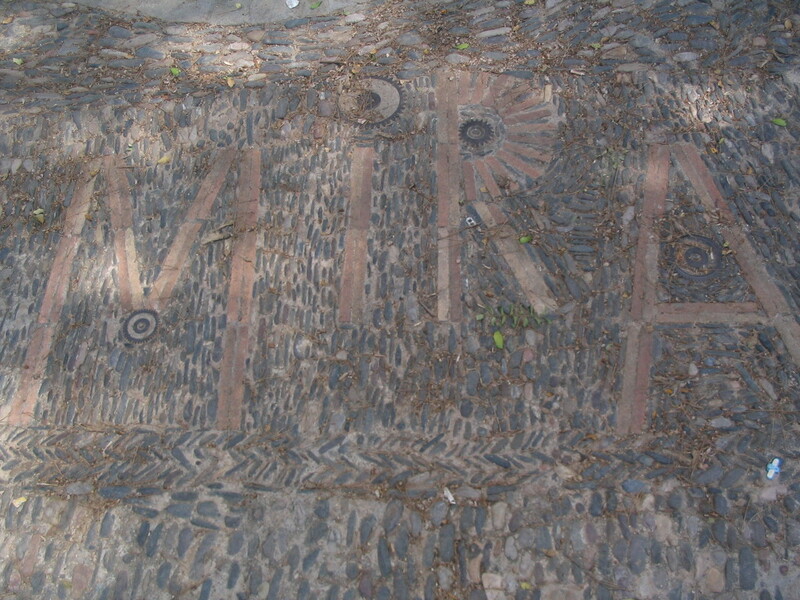 The larger-scale elements of the paving are really cool too, not just the small details. 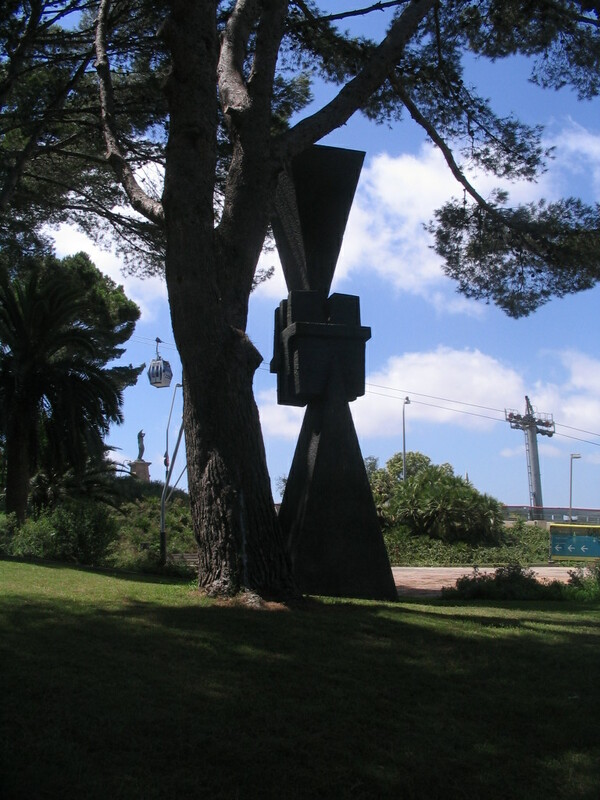 The primal and well-shaded Homenatge a Barcelona by Josep Maria Subirachs, with some careful statue and cablecar composition in the background at left. 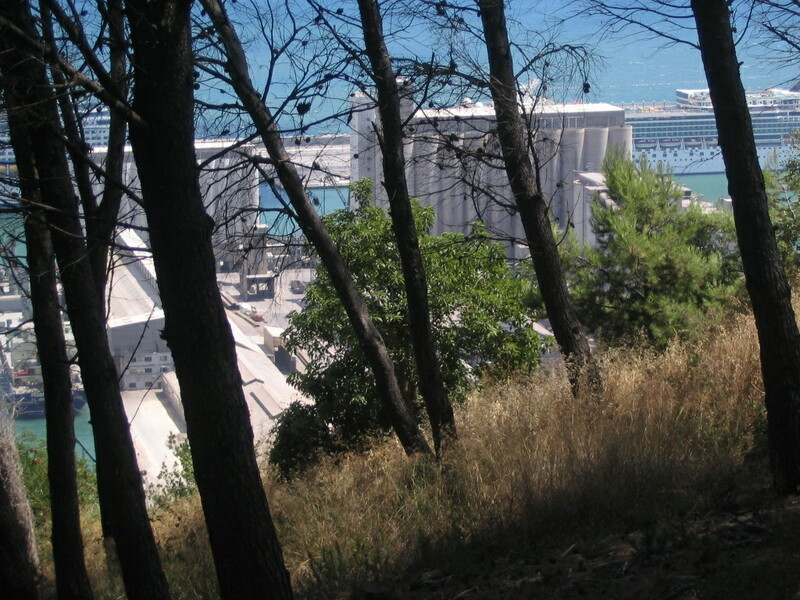 Through the woods downslope is a surreal apparition of the port. 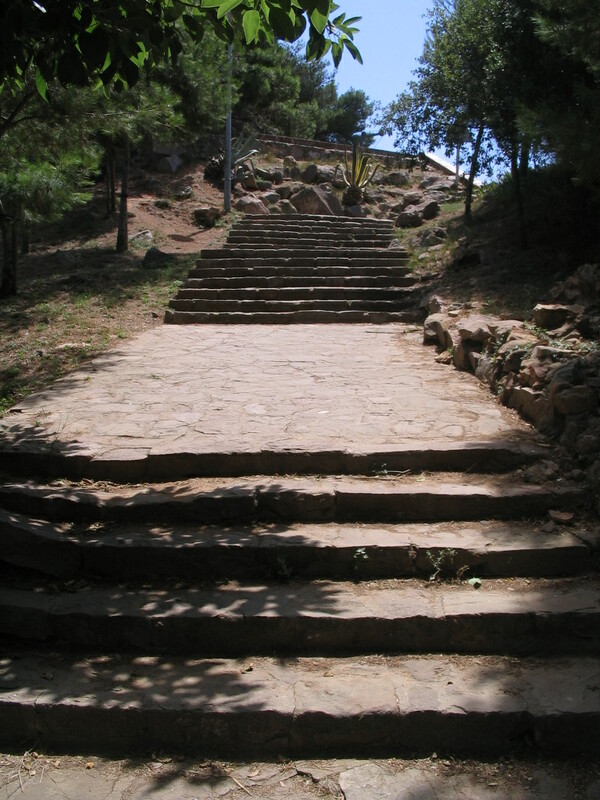 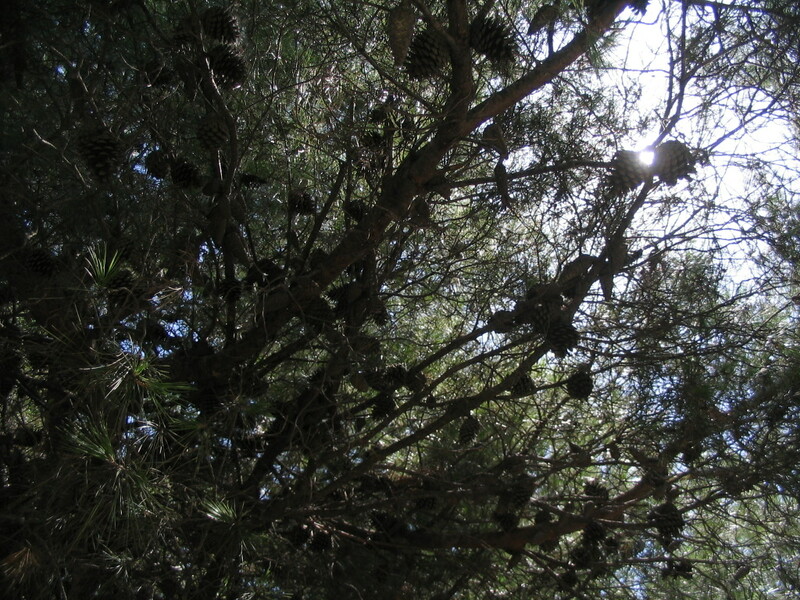 The final climb up to the grounds of the Castell.